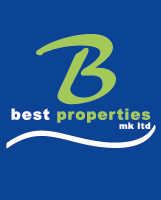 We are one of the leading letting agents in the Milton Keynes area. If you are looking to rent a property in Milton Keynes or have a property to rent out in Milton Keynes either on a “fully managed” or “tenant only” basis we should be your first call. We are based in the town centre of Milton Keynes, our offices are open seven days a week. Here at ‘Best’ we never take your business for granted. James has worked in the property market in Milton Keynes since 1991 and you can be sure that he will tailor a service to meet your needs from the moment you put your property in the market, until it is let and ongoing efficient management thereafter if required.